Finland would improve its immediate security environment but also risk becoming embroiled in an extended and serious crisis with Russia by joining Nato, a four-member task force concludes in its newly-published report to the Ministry for Foreign Affairs. “Even if tensions did arise, they would not necessarily result in an open conflict because Russia would be aware of the fact that any infraction would drag the entire alliance [into the dispute],” the task force writes. The membership would, on the other hand, improve the national security situation by bolstering the deterrence of possible violations and extending the security guarantees set forth in Article 5 of the North Atlantic Treaty also to Finland. “If Finland decided to apply for Nato membership, it would be a considerable political blow for Moscow. It would show that the repeated anti-membership warning signs given by Russia in recent years have failed,” the task force analyses. The decision would provoke “a personal and severe” political backlash from Russia not dissimilar to its response to the downing of one of its jets by the Turkish Air Force in Syria last November. “The response could also entail applying more pressure at its borders with the Baltics. Russia could similarly consider politically activating the Russian-born population of Finland. The climate would be toxic and trade relations could suffer considerably – as they have done in the ongoing dispute between Russia and Turkey – during the application process,” the task force warns. The expert task force refrains from commenting for or against the membership but estimates that it would be in the best interests of both Finland and Sweden if the countries initiated the application process concurrently. “It does appear that although simultaneous membership applications by Finland and Sweden would notably change the political geography of Europe and, at least temporarily, increase tensions between Nato and Russia, they would be a strategically better alternative to either of the countries joining separately,” it writes. 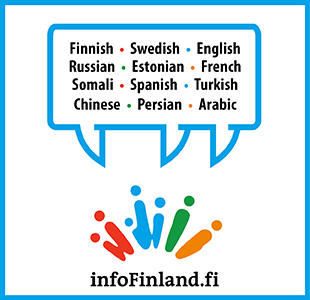 Whatever the decision of Finland, it should not be taken lightly, the task force states. Finland would according to the report have to bump up its annual defence spending by approximately 730 million euros in order to come closer to satisfying the target for defence spending – two per cent of GDP – set by Nato. The report represents the first assessment of the effects of the possible Nato membership of Finland commissioned by the Finnish Government since 2007. The report was authored by Mats Bergquist, an ex-Swedish Ambassador to Helsinki, François Heisbourg, the chairperson of the International Institute for Strategic Studies (IISS), René Nyberg, an ex-Finnish Ambassador to Moscow, and Teija Tiilikainen, the director of the Finnish Institute of International Affairs.